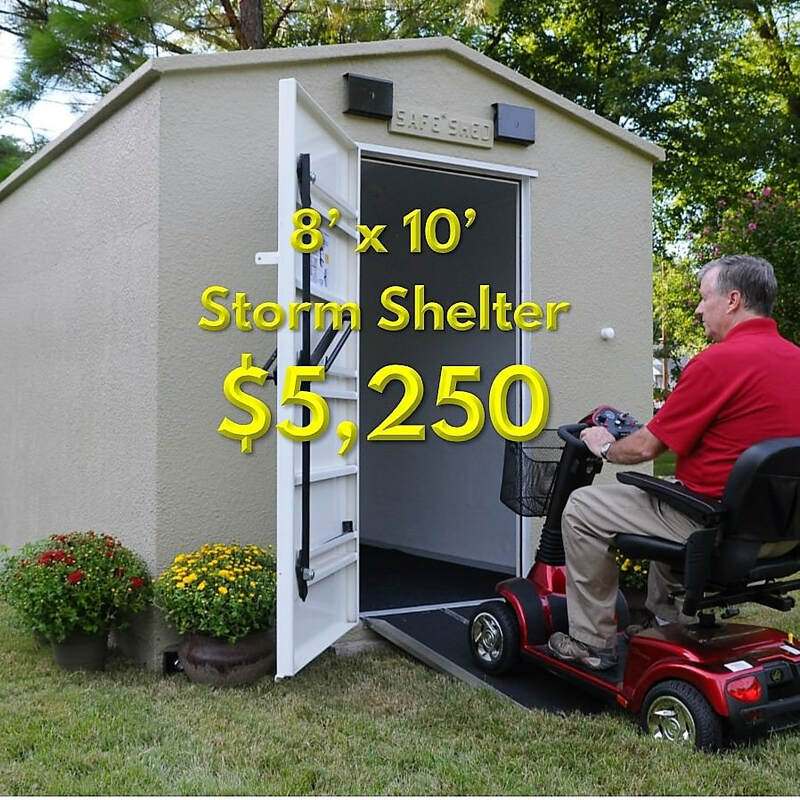 Storm Shelter - Safe Sheds, Inc.
You've Found The Best Storm Shelter For Your Family! 6" steel-reinforced concrete floor saves you money - set it directly on the ground or gravel, so you don't have to pour a concrete pad. Includes motion-sensing, battery powered LED interior lights - no fumbling for flashlights. We've been building our steel-reinforced concrete storm shelters 2002. 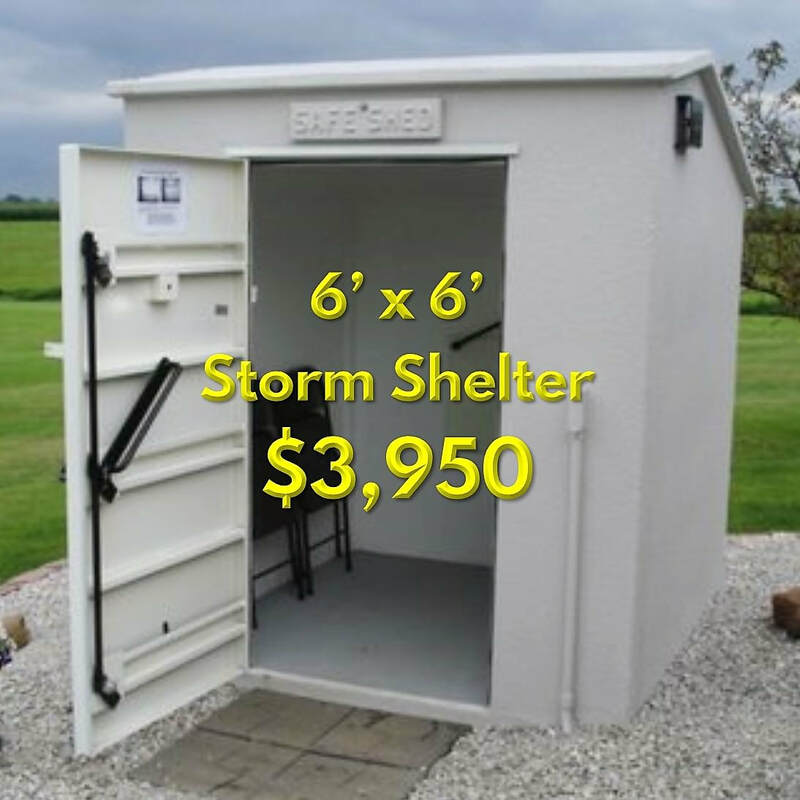 Safe Sheds storm shelters have been ﻿tested﻿ to make sure they meet or exceed FEMA 320/361 engineering standards. And, they've been tested by the toughest judge of all...Mother Nature! Our #1 priority is making sure you and your family are protected during the most severe storms! "Our Safe Shed was delivered today. The driver, Lee, is a great guy who represented Safe Sheds with great skill and customer support. The shed's quality and finish inside and out is great. The function of the door is outstanding. 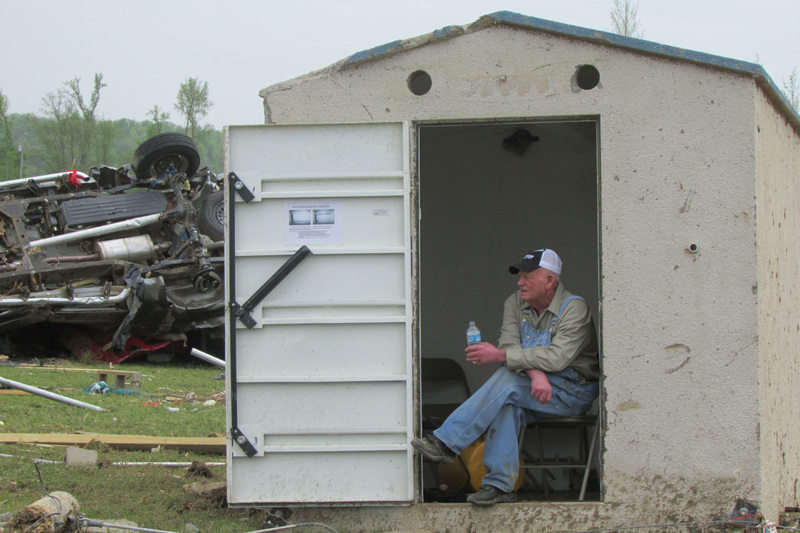 It's a comfort to my wife and I, knowing that the Safe Shed will be here whenever we may need it."